Truss gantry crane can be extensively found in a variety of fields and sectors to accomplish small to heavy duty lifting work. It is distinguished by the fact that it is built with truss girder so as to prevent the attack of strong winds and storms. According to the girder construction, the truss type gantry crane can be classified into single girder and double girder crane. 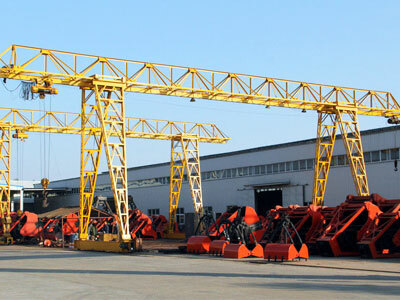 Each type has its own advantages and disadvantages with respect to the crane capacity, lifting speed and working efficiency. Dafang truss crane falls in two main configurations, single beam and double beam. The single girder crane is designed to perform low-speed and light-duty lifting work with capacity ranging from 3.2 to 20 tons. It is generally equipped with CD1/MD1 electric hoist that runs along the main bridge girder. This sort of gantry lifting equipment features simple structure, light dead weight, easy fabrication and installation. The double girder gantry crane is engineered for heavy-duty lifting requirements and is capable of handling heavy loads in a range of 5 tons to 200 tons. 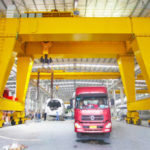 The heavy-duty truss gantry crane is usually fitted with standard hoist trolley that delivers high lifting speed and large carrying capacity. 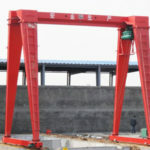 As truss structure delivers small windward area, the gantry crane has excellent wind resistance in strong wind areas. It has light dead weight and large hook coverage. The gantry crane with truss is easy to install and maintain. The crane can be operated easily and safely. It can move with low noise and power consumption. 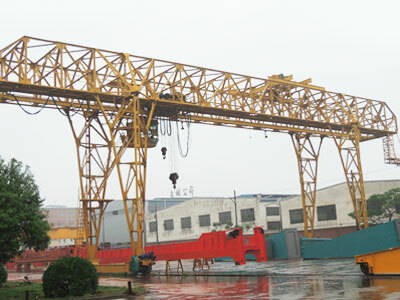 Gantry crane metal structure mainly consists of the main beam, end beam, supporting legs and end carriages. It has lighter weight than box girder crane. 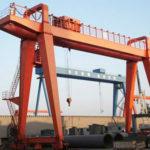 The overall size of gantry crane steel structure is determined by span length, main beam height, cantilever length, wheelbase of trolley and crane running mechanism and so on. Truss girder: Regarding the truss girder design, there are light-duty and heavy-duty truss that can be constructed to your crane. Additionally, the metal structure of truss gantry cranes can be designed with or without cantilevers. Supporting legs: the crane is normally built with two rigid legs. However, when the crane span is larger than 35m, the gantry crane will be engineered with one rigid leg and one flexible leg. 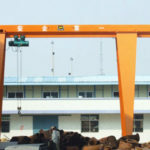 How to Operate A Truss Gantry Crane? The single girder and double girder truss gantry crane can be operated by means of wired pendant control, wireless remote control and cabin control. The operation modes are largely determined by the crane carrying capacity, environmental conditions, convenience of use and safety. 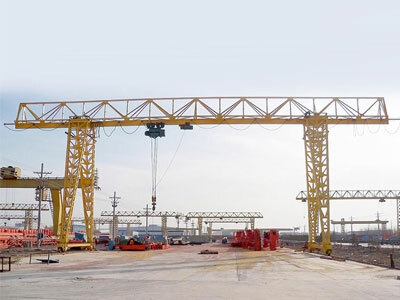 Dafang gantry crane control system can ensure excellent safety for lifting operations. To learn more about crane control system, talk to our experienced engineers online now. We provide a range of standard truss gantry cranes with multiple configurations to suit different needs and working situations. If the given technical parameters cannot suit your requirements, we are also able to design a custom solution with the aid of our excellent technical team. 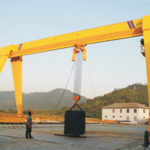 We are experienced and trusted overhead and gantry crane manufacturer and supplier in China that provide high quality products and reliable services for customers. 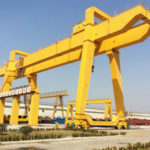 We are responsible for the crane design, manufacturing, delivery, installation and maintenance and dedicated to solving any problem you have with material handling. To know more about truss gantry crane, contact us online today!